Turkey Chorizo Chili - Recipe! - Live. Love. Laugh. Food. I know I preach about keeping a well stocked pantry – well…..preach is a strong word, how about recommend? 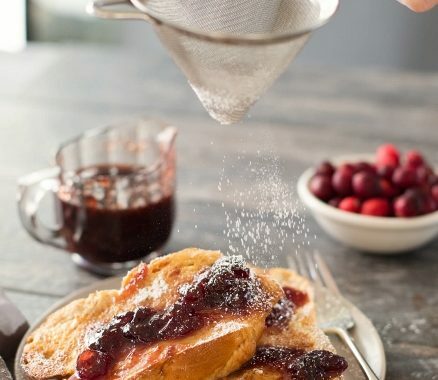 However, many of you are either single or a family of two, which makes it a little challenging to be motivated to keep a well stocked entity in your kitchen. Look no further – this Sponsored Post is for you! Turkey Chili is one of those things most people enjoy, especially if you are entertaining, or if it dips below 65 degrees. Chili is a super simple preparation of onions, meat and tomatoes of some kind, which makes it ideal in a pinch, because you can have a meaty pot at full simmer in no time flat. 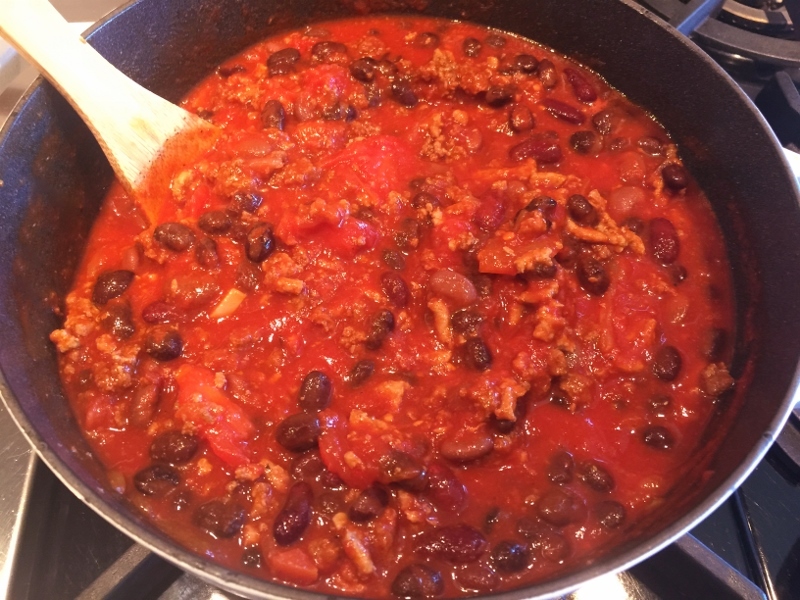 I like turkey chili, not for the convenience, but for it’s one-bowl deliciousness, and I have found a product that I can get behind because it is loaded with the right spice blend. Chorizo Seasonings Turkey Sausage from Jennie O is a nice mix of chili powder, paprika and dried chilies, plus some additional spices, that adds a good balance of flavor to any chili recipe. What makes it even better, especially for the no-pantry people, is that you don’t need to go out and buy any additional dried herbs or spices – they’re all inside. 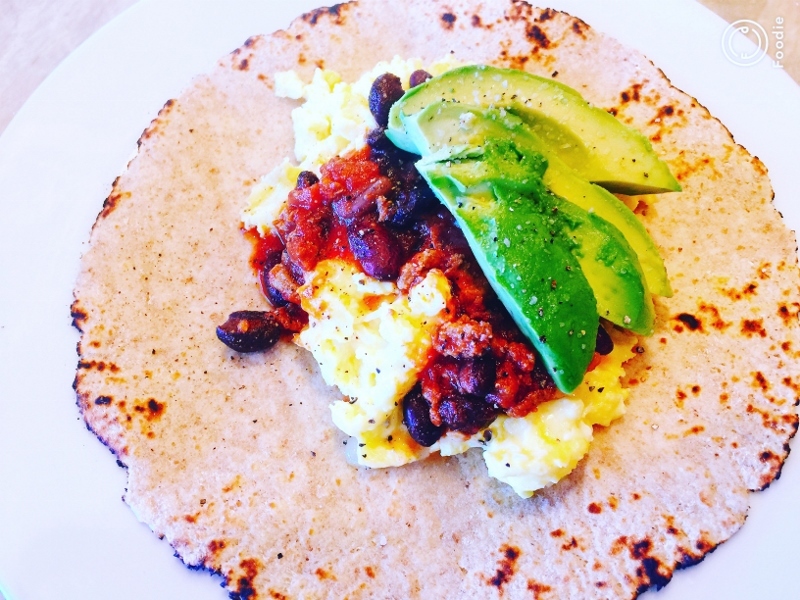 So, if you are chorizo fan like I am, I like the idea of eating a turkey blend, instead of pork chorizo because it is a lot leaner. In this recipe for Turkey Chorizo Chili, I added lean ground turkey, along with the chorizo turkey sausage, to bulk up the recipe and create a poultry wonderland that I think you will enjoy. After a adding a few cans of your favorite beans, you now have a nice meal to share with your family and friends. I like to eat this right out of a bowl, but it’s also divine over nachos, or in a morning egg burrito. 1. In a large stock pot or dutch oven, add 2 teaspoons oil and place over medium heat. Add onions and garlic, and saute for 2 minutes. Add chorizo turkey and ground turkey, and stir while breaking apart with spoon. Cook turkey mixture for 6 minutes. 2. Add tomato paste and tomatoes and stir. Break apart tomatoes with spoon, while incorporating into the chili. 3. 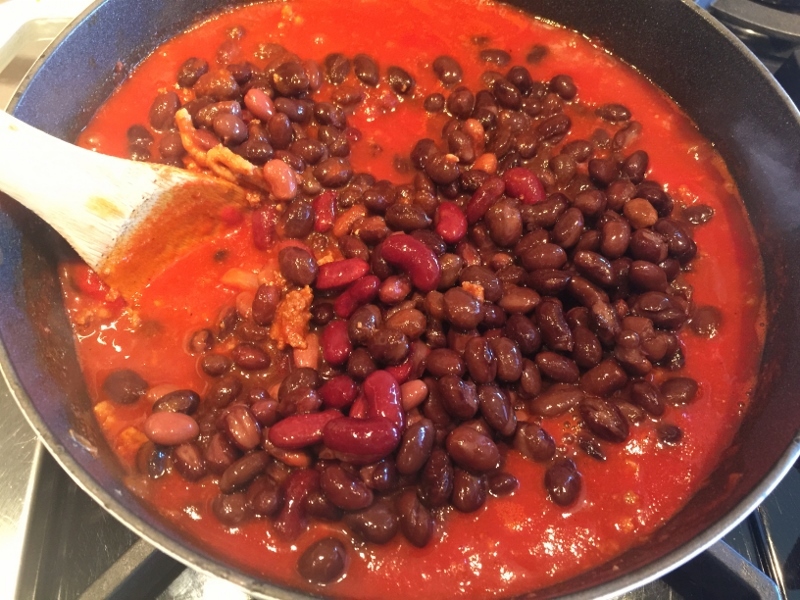 Add beans, 1/2 teaspoon salt and 1/2 teaspoon black pepper, stir. Turn heat to simmer and cook for 20 minutes with lid ajar. Ladle into bowls or add to your favorite Mexican dishes. Enjoy! Chili Recipescooking with Gena BellEasy RecipesFamily Style RecipesJennie-OSwitch CircleTurkey Chili - Recipe!Turkey Chorizo Chili - Recipe! 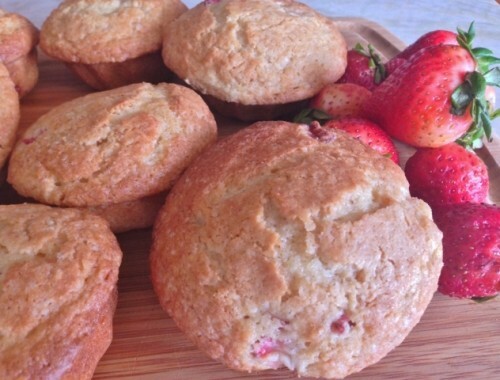 Strawberry Lemon Muffins – Recipe! 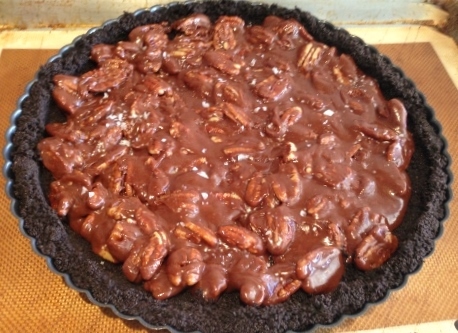 Chocolate-Caramel Pecan Tart – Recipe!